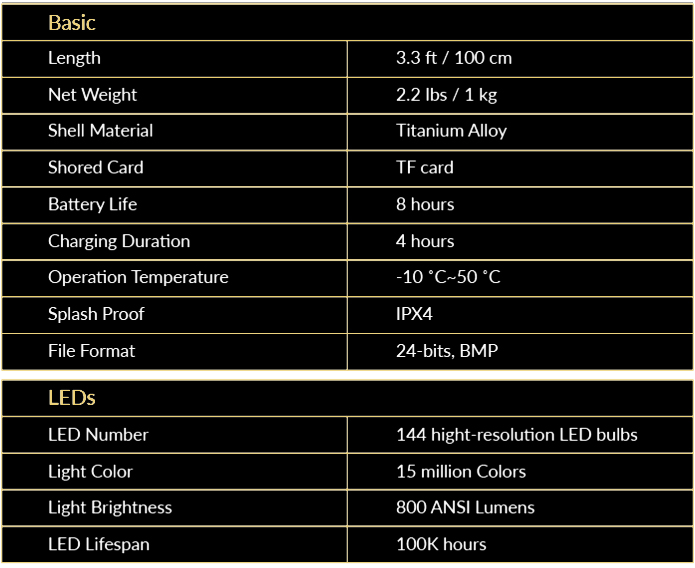 No more light bulbs, flashlights, light cords or any other light source will be needed thanks to the 144 High-resolution RGB LEDs. 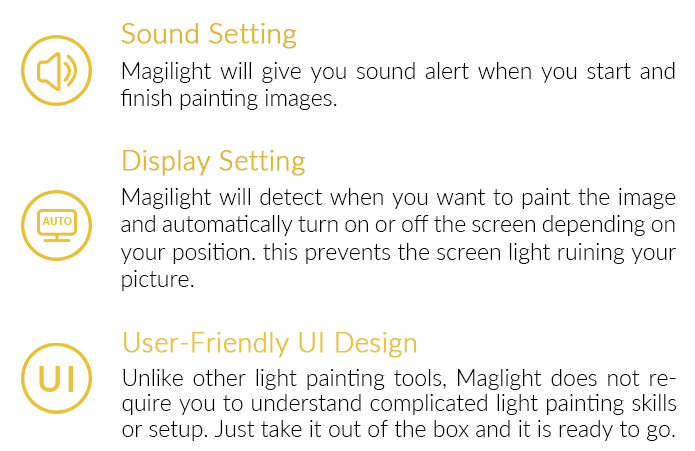 With Magilight just click and wave, the stick will do the rest. The effect will totally astonish you. 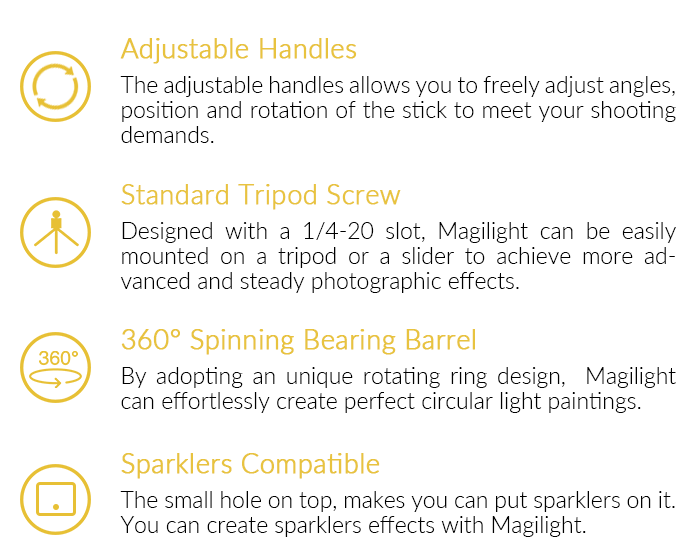 Magilight has various modes, which helps you to create easier and more. The animation mode helps you create an animation without choosing the picture one by one when you shoot the images. 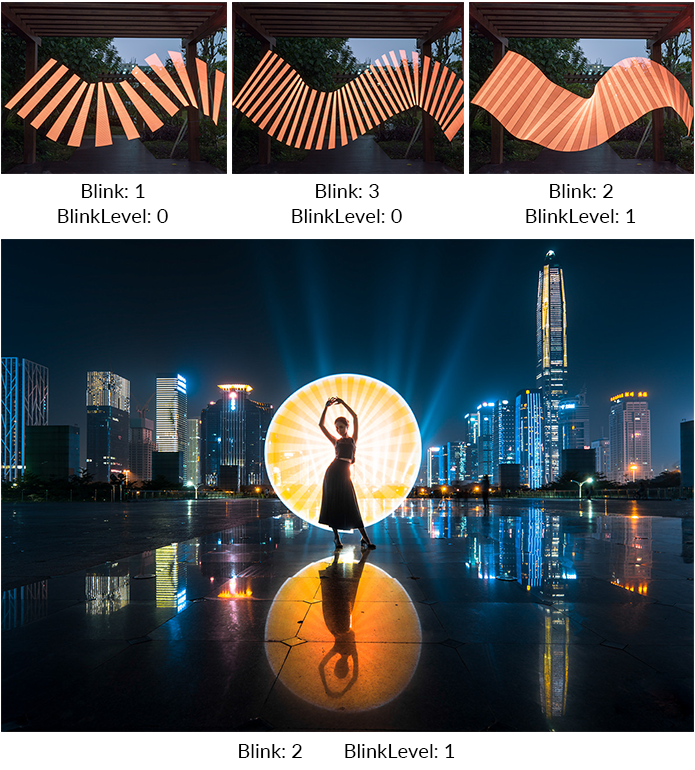 Using the "Blink" mode allows you to get a special flashing light effect for your photograph. 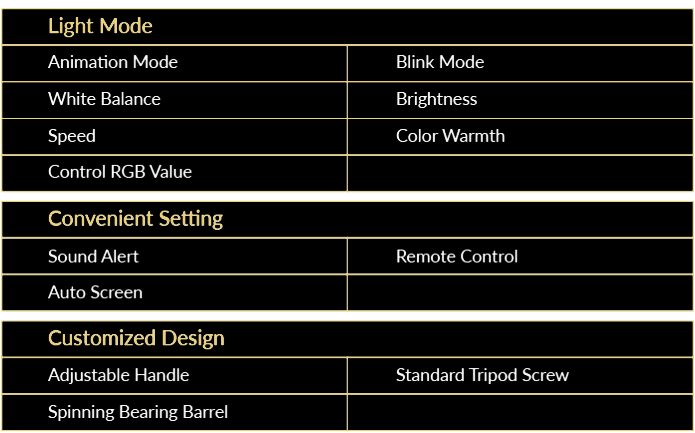 By adjusting the “Blink” value, you can control the frequency of the flicker. You can control the brightness during the flickering by adjusting “BlinkLevel” value. 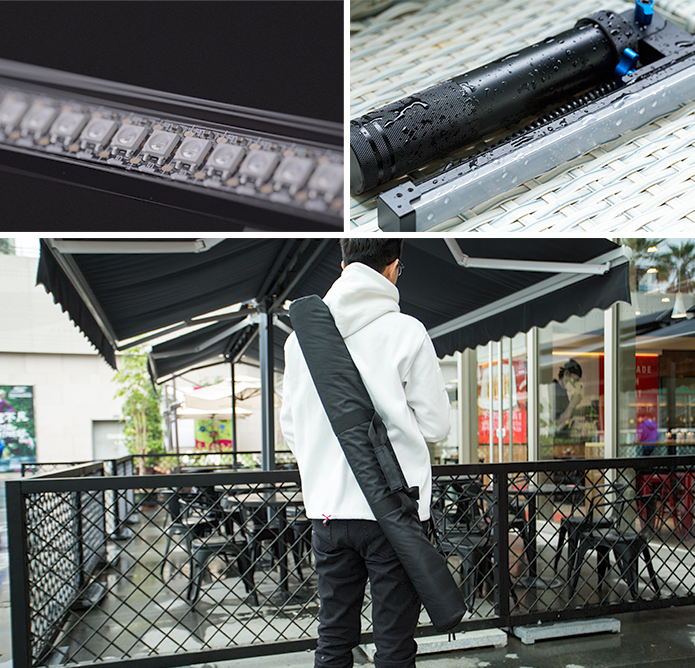 With the adjustable light function, you can control the brightness, warmth and RGB values. 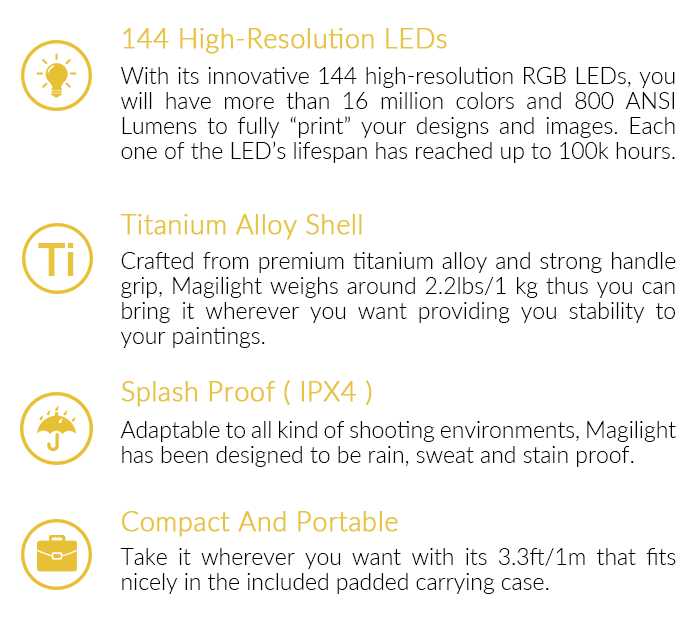 You can also use Magilight as a colorful background light source to create the great effect. YOUR SUPPORT IS OUR IMPETUS. 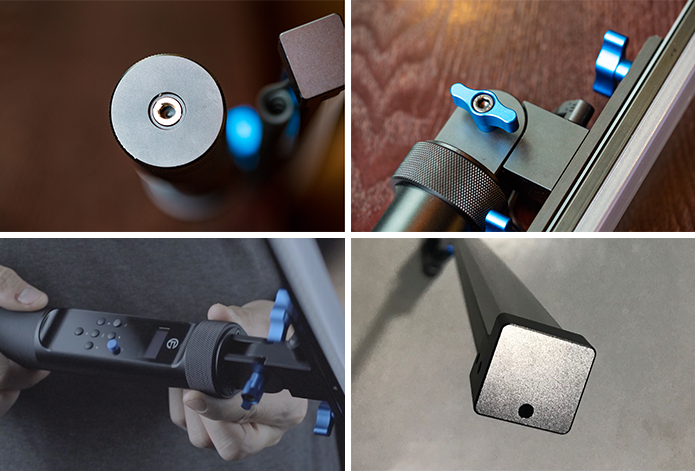 Over $517k raised on Indiegogo, with over 3,502 backers by supporters across 97 countries. 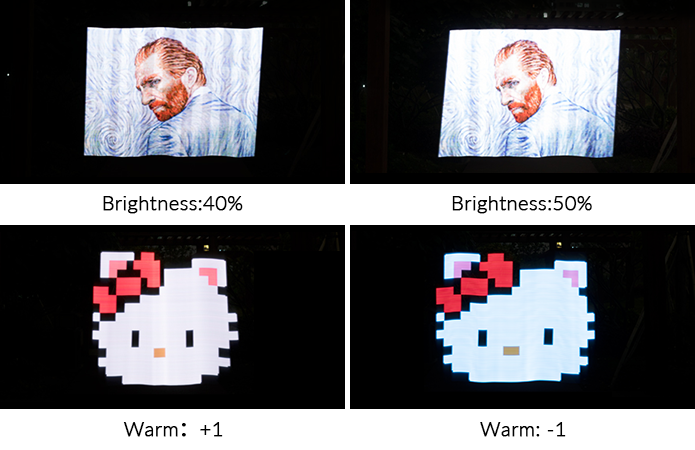 Together, we can create superior and creative light paintings.